A revolution in creating print catalogs! Pimcore provides extended support for Cross-Media-Publishing and Web-to-Print initiatives. Pimcore stringently follows a single-source-publishing approach. The PIM module is the central data hub, which supplies enriched data to multiple output channels, such as websites, newsletters, online shop, and print catalogs. It provides highly structured master data including all corresponding multimedia assets to desktop publishing products like Adobe® Indesign® and Quark® Xpress®. But Pimcore is not just an open-source PIM: It integrates customer experience management for the creation of full-featured product catalogs and price lists without using any desktop publishing software. Ready-to-print PDFs can be created in a user-friendly interface in Pimcore based on up-to-date product data, prices and high-quality images. They can even be created fully automated, based on a predefined layout. The most efficient and flexible way to create ready-to-print documents like catalogues and price lists is to use Pimcore in combination with RealObjects PDFreactor. Together they build a solid stack for automated database publishing and Web-to-Print. Headquartered in Austria, the Walter Bösch GmbH & Co KG (about 650 employees and 100M EUR revenue p.a.) is a specialist manufacturer for heating, ventilation and air conditioning technology. 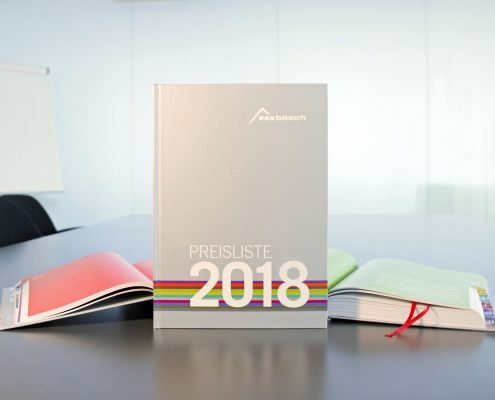 A high-quality print catalog is an essential tool for hundreds of contractors and distributors selling the Bösch technology across various countries. Several Bösch employees used to work months on the creation of the catalog, as product data had to be collected, verified and updated. An integral filling system for the thousands of product pictures did not exist and the overall process depended on normal desktop publishing programs. The PIM system is the central data hub for all kind of product information (text, technical data, pictures, videos, links etc.) and delivers up-to-date data to various output channels. Updates of the product information have to be done only in the PIM system. The Bösch ERP system provides the basic product data and pricing information, which is automatically captured by the Pimcore PIM system using an ERP-PIM interface. The catalog editor enriches the product data in the Pimcore PIM system through additional information such as, text, pictures, links etc. The Bösch B2B shop as well as the catalog production uses this data. For more info about the Bösch B2B shop and catalog see also the Pimcore case study. The catalog is directly created in the Pimcore PIM system using a plugin. The catalog editor creates single chapters and adds content pages, which are directly filled with data from the PIM system. The Pimcore PIM plugin allows the PDF creation any time. Additional settings, e.g. the integration of printer marks, can be done optionally. Bösch uses a printer‐friendly PDF (DIN A-4, 32MB) for downloads and electronic distribution. Within the PDF each product is directly linked to the Bösch B2B shop. A print compliant PDF (extract, 12 MB) with a size of about 170 MB – including printer marks, high-resolution images and CMYK color space compatibility – went to a print shop for the production of hardcovers. For more info about the mafi B2B/B2C ecommerce portal see also the Pimcore case study. mafi uses a compact PDFs (DIN A-4, 5.9 MB) for downloads and electronic distribution via website and e-mail. Print compliant PDFs (extract, 3.5 MB) including printer marks, high-resolution images and CMYK color space compatibility are sent to a print shop for the production of hardcopies. 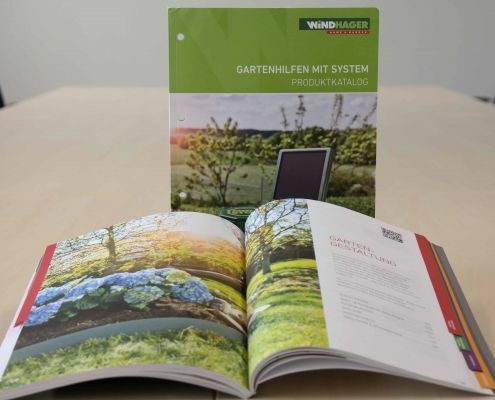 Windhager stands for competence, creative, market-oriented product innovations in the field of insect stops, pest control, gardening accessories as well as sun and privacy screens. Their products encourage the beauty and natural diversity of gardens and increase economic yields. Windhager products also contribute to a more comfortable life around the house and on the patio. Established in 1983 and headquartered in Thalgau, Austria, Windhager Groups’ 250+ employees assure 80+ million turnover p.a. within 25 European countries. The leading system for article data is an ERP system (self-developed), which is connected via web services to the PIM system (Pimcore). Digital assets are stored in an external DAM database (CELUM). All marketing titles and texts are entered, translated and stored in Pimcore, pictures and videos in CELUM, but they are synchronized between CELUM and Pimcore so that every digital asset is available in Pimcore. Every catalogue is realized with the Pimcore module “Web-to-Print”, which is integrated in the Pimcore suite and allows the marketing team to create a catalogue, every chapter and subchapter and add all relevant products to the catalogue. Windhager decided to add every product manually via a search menu and exclude every variant which is deprecated automatically. When creating new catalogues marketing can copy an old catalogue and needs to add only new items manually. Catalogues are single language, so creating a new catalogue with a new language means to create a referenced copy to the original catalogue and make only the changes needed for this specific language. Changes in the original catalogue are automatically transferred to all referenced catalogues. The template for each catalogue is programmed with HTML/CSS and PHP and can be developed by every web designer. The powerful PDFreactor plug-in allows Windhager to create the PDFs for print (high picture quality) and web download (low picture quality) with suitable margins, breaks, printer marks within seconds. It is not necessary to start an interface or synchronization job or wait for hours to see the work done before in Pimcore as a PDF, nor is it necessary to work in InDesign to make a printable PDF. After few hours of work, the editorial staff is able to check the first chapters and correct mistakes or wrong data, the complete process of creating and error correction is done in one system which reduces cost & time and increases the process performance. More info about the Pimcore PIM Web-to-Print functionality can be found here. Windhager utilizes a compact PDF (DIN A-4, 23 MB) for downloads within its websites and for electronic distribution via e-mail. A print compliant PDF (extract, 18.5 MB) with printer marks, high-resolution images and CMYK color space compatibility is sent to a printing house for the production of hardcopies. The JAF Group is the largest timber merchant in Europe, offering around 83,000 articles (including more than 20,000 permanently in stock) at 59 sites in 19 countries all over the continent. 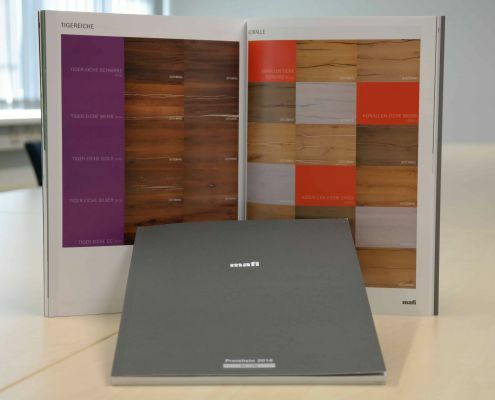 Founded in 1948 at the company’s headquarter in Stockerau (Austria), JAF Group has become central Europe’s leading wholesaler for wood and wooden materials. It has established itself as a strong partner for the wood processing industry, the construction sector and resale. Today the company is the market leader in Austria, the Czech Republic, Slovakia, Hungary and Croatia. Centerpiece for JAF Group’s e-commerce and digital strategy is a central platform in 12 languages and for 19 countries based on Pimcore PIM and Pimcore DAM. It is the foundation of an international B2B e-commerce platform with customer specific pricing and customer specific assortments for 83,000 articles where the customer experience is rendered in real-time. This platform features popular B2B e-commerce functionalities such as buying permissions and workflows, quotation requests, corporate accounts, and tight ERP integration. The customized multi-country B2B e-commerce platform based on Pimcore eCommerce provides a multi-tenant shopping cart for price and order comparison as well as B2B features such as product quotation, order dashboards, and various product category specific checkout processes. The source of all data is Pimcore PIM. 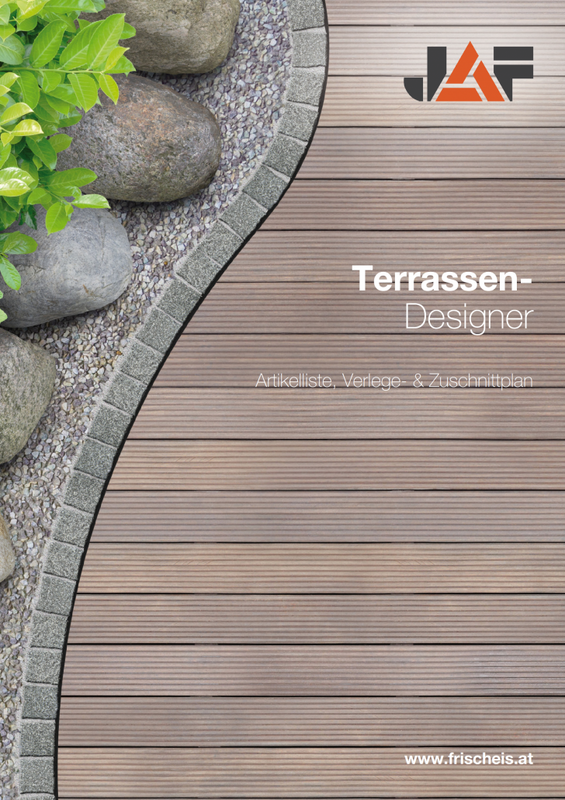 A product configurator, terrace designer, room studio (incl. real-time 3D construction) as well as printing automation using PDFreactor streamline the overall processes for JAF Group’s B2B customers. Full printing automation creates print outputs/PDFs based on templates, data and rules. Foundation for this functionality is the interoperation between Pimcore PIM and RealObjects PDFreactor. No manual setup of content is required like it generally happens with product listings, product detail pages, etc. It comes quite handy for automating the creating of data sheets, price lists, and energy labels. For more info about the JAF B2B e-commerce platform see also the Pimcore case study. The terrace designer e.g. is a special component of Pimcore eCommerce and is tightly integrated with Pimcore PIM, which uses PDFreactor as plug-in. For B2B customers, the terrace designer calculates the optimal patterns for the desired terrace floor plans and generates the building instructions, including material lists, construction plans, sketches etc. PDFreactor then generates a PDF, presenting all the info in an attractive layout. The JAF Group’s B2B customers receive clearly structured, compact PDFs (DIN A-4, 1 MB) for download. Typeset-quality compliant PDFs (extract, 1 MB) including printer marks, high-resolution images and CMYK color space compatibility are sent to a print shop for the production of hardcopies. The PDFreactor CPU pricing scheme and Software License Agreement (PDF) is applicable. For availability, documentation, technical support etc. please contact info@pimcore.com. RealObjects does not provide any support related to the integration of the PDFreactor into the Pimcore platform. Pimcore is an award-winning data management and customer experience management software. Enterprises choose Pimcore because it seamlessly integrates 4 applications – Product Information Management (PIM), Digital Asset Management (DAM), Customer Experience Management (CMS/UX) and eCommerce. The software is licensed open-source and available free of charge. The company specializes in business consulting, solution consulting, integration & implementation, professional services & support. Automating business processes becomes easy with Pimcore’s connectivity to any external software or cloud infrastructure. Pimcore is recognized as Gartner ‘Cool Vendor’ 2018.
elements.at New Media Solutions GmbH is a leading full-service digital agency focused on creating superior digital customer experiences that bring brands and customers closer together. Headquartered in Salzburg, Austria, it consists of a team of more than 100 developers, consultants and designers, all working together to build exceptional digital solutions for ambitious international clients. The Elements team created Pimcore in 2009 and have been advancing it ever since. 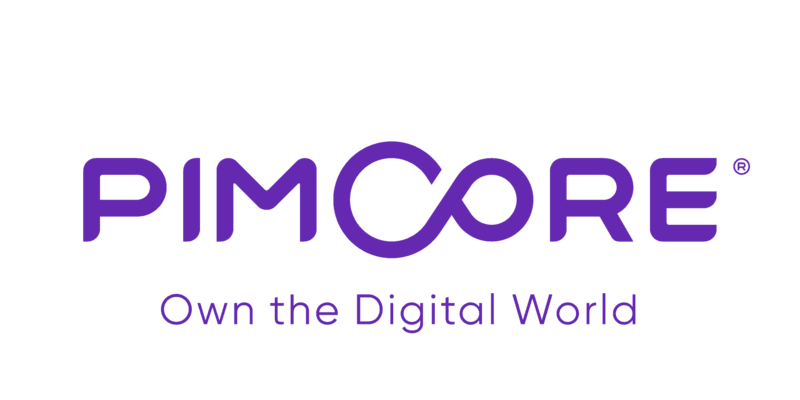 With over 82,000 installations in 56 countries, Pimcore has become the leading open-source experience and data management platform. Elements partners with RealObjects, enabling Pimcore clients to utilize best-of-breed automated database publishing, variable data printing (VDP) and web-to-print functionality based on RealObjects PDFreactor.